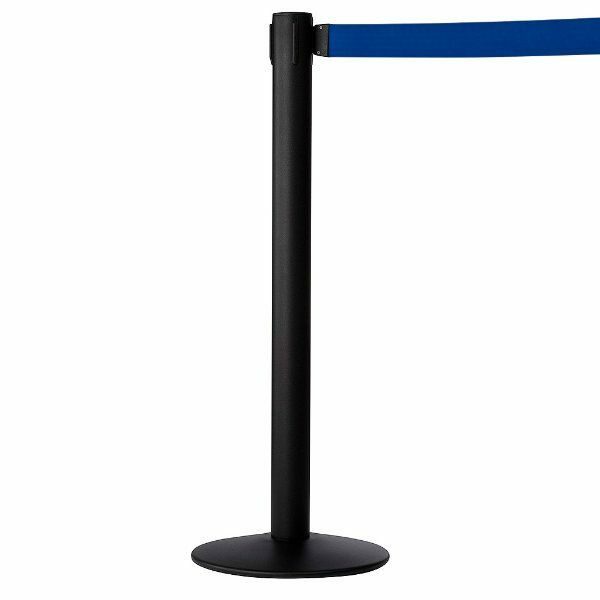 RETRACTABLE STEEL STANCHION POST SYSTEMS This retractable barrier post is designed with a steel post, a blue belt and a heavy base. The black, steel post is 35- 3/7″ and the complete height of the stanchion is 37″. The head of the post has 4 way adaptor to expand the possible configurations. 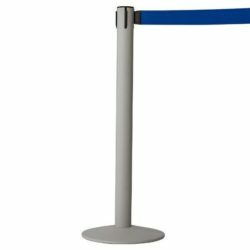 Blue belt of this stanchion post has a length of 114- 1/6″ with a printable area of 1- 4/7″ x 103- 2/7″. 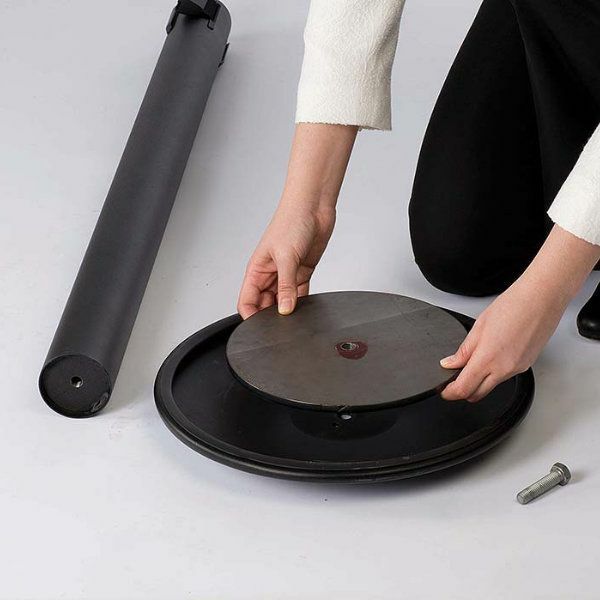 The heavy base itself is, 17 lbs to keep the stability in use. 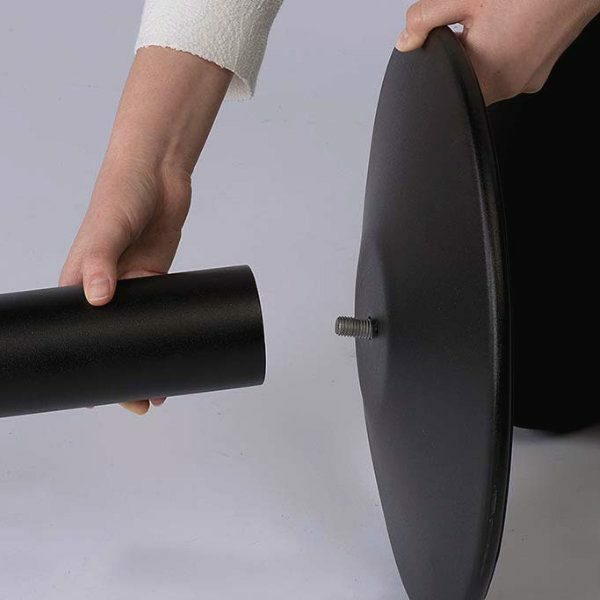 It is also rubberized to prevent movement. 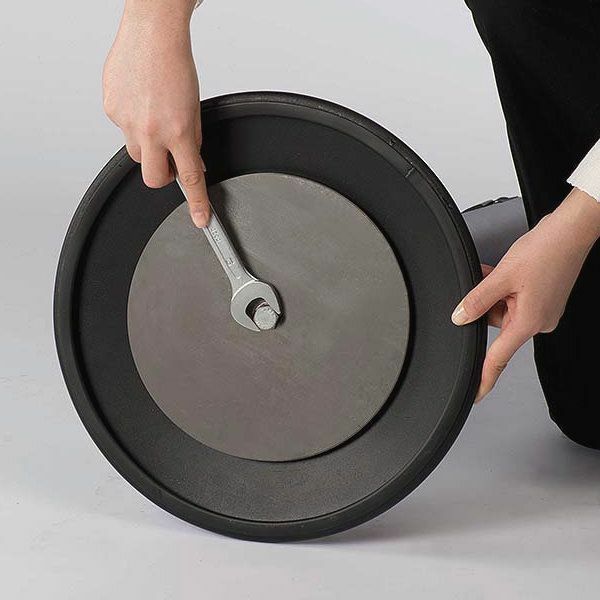 Retractable belt is controlled with tension to keep the tape straight when the tape is moved or pulled out. It is so easy to set up this queue post or as also known stanchion pole. 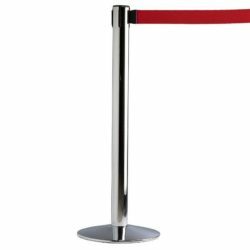 This steel stanchion with retractable belt fits any environment in where any crowd needs to be controlled. Our stanchion post is a perfect tool to keep people in line in busy areas for your business and events! Please review other options for post and belt colors.